We formed the DX group in November 2006 as many CB operators across the UK and beyond are beginning to get back into the radio and DX hobby. Propagation on the 11 meter band has now improved over the last few years and contacts worldwide are possible on a regular basis, particularly now we are at the sunspot maximum. 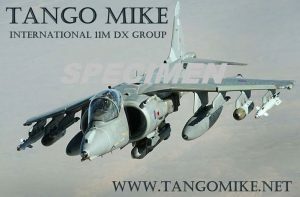 New Tango Mike QSL card designs - NOW IN STOCK! 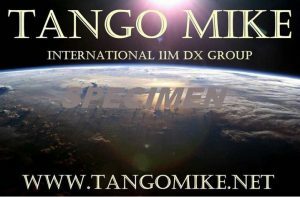 Tango Mike welcomes new members from the UK and beyond. Our aim is not to become the biggest group but have a friendly set of like-minded members who enjoy making long distance contacts on the bands and exchanging QSL cards with other groups worldwide. Basic membership is free although a small fee will be charged if you wish to make use of the group PO Box and redirection service. Although many of our members use USB and LSB as preferred forms of communication membership is open to those who work other modes such as their local FM frequencies. It should be noted that FM can make incredible high quality contacts under the right conditions using legal amounts of power and equipment. As we are a freeband organisation we allow you to use your callsign anywhere on the 11m band but ask you to respect your local radio regulations.